Water Softener is the removal of calcium, magnesium, and certain other metal cataions in hard water. The resulting soft water is more compatible with soap and extends the lifetime of plumbing. Water softening is usually achieved using lime softening or ion exchange resins. Restaurants / Hospitals / Schools / Colleges/ Homes etc. Your hair and skin feels softer, cleaner and smother with water treated by a water softener. Once can return to natural chemical free healthy soaps and laundering agents, and with the pureness you will have the most efficient water softener on the market, good for you , good for the planet. Fabrics are also softener without hard minerals become trapped in them. Fabrics last longer and whites stay white without the dingy gray caused by hard water. 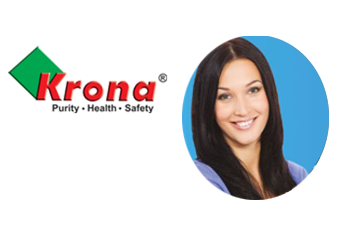 Having your water softened by KRONA water softener will provide softer, brighter clothes and will extend their life as well! Soft water also preserves the life of all water using appliances such as office and ice makers, dishwashers, and clothing washers. A water heater protected by a water softening system will also reduce the yearly energy cost of that appliance by 22%- 29%.